Home > The Court Process > Parental Responsibility: Have it? Need it? Get it. Parental responsibility is the right to have a say in decisions affecting your child's upbringing. It is important to note that this is not general day-to-day decision making (eg can they have a biscuit after tea, can they play on Xbox before homework etc). Please note having PR does not give an automatic right to contact. Parental responsibility ends when a child turns 18 years old (ie legally becomes an adult), or if they marry before the age of 18. Parental responsibility cannot be removed if the child's parents were married. However it can be removed by application to the courts if the parents were not married. Note: If you don't have parental responsibility, it doesn't mean that you don't have to pay child maintenance - the two are dealt with separately. Don't avoid getting parental responsibility so that you don't have to pay money - it doesn't work like that. If you have parental responsibility and are not consulted on important decisions about your child's life, or your views are ignored, you can apply to the court for a Specific Issue Order. The court will then decide the particular matter in dispute. Who automatically gets parental responsibility? 4 - have a Parental Responsibility Order from the court. 2	- named on the birth certificate, from 04/05/06. 3	- named on the birth certificate, from 15/04/02. If you don't qualify for automatic parental responsibility, then there are two ways to obtain it. 2	- Both parties should take the form to your local county or family court to be signed and witnesses. You should take with you the child's birth certificate and proof of your ID, eg your passport or driving licence. 3	- Send two copies of the signed and witnessed form to: Principal Registry of the Family Division, First Avenue House, 42-49 High Holburn, London, WC1V 6NP. 1 - You must have attempted mediation first. 2 - To apply, you must be a person connected to the child (eg parent, step-parent etc). 3 - The court fee is £125 (you can get help with court fees if on benefits or low income). 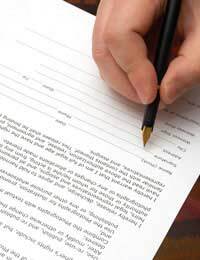 4 - Fill in court forms C1 and FM1 and send to your local county or family court. 5 - If you don't want the other party to see your home address, leave that blank on form C1 and also fill in and send form C8. If you need help filling in court forms, speak to your local Citizens Advice Bureau or consult a local solicitor. How do the courts decide whether to award parental responsibility? The courts will always prioritise the best interests of the child. The father was of bad character and had recently served a lengthy prison sentence for robbery. If you are making an application to court, and are unsure about the process or your chances of success, seek help. Parental responsibility is worth fighting for, so don't let the court forms put you off. High street family law solicitors often give up to one hour's free advice. Alternatively Citizens Advice Bureau offer free and independent legal advice on a walk-in basis. @lou.i did the same I sold everything I had packed up and hit the road with my bro .when everyone thought I would have bought a house find another girl and settled down .i went off the (grid 100 percent )I had no postal address or permanent residence worked( enough to survive )lived (hand to mouth) and out off back off Ute and climbed mountains and swim in lakes I did that for years christoper the super tramp .its been 10 years now sence I seen my daughter so I guess I really don’t have a right to meet my daughter in reality.and made (clown fool out off myself) with how I acted back in 2015 when I attempted to come back and with sum stupid thinking I thought maybe I could have a relationship with my daughter but I was dreaming .oh well I tried that’s all we can do in life is try . My sons ex is taking him to family court to see the children she walked out of the family home 8 month ago took her name off the tenancy they shared she moved back with her family so for 8 months he as been the only person bringing up the children she as had very little contact with them so she’s made herself intensionally homeless and abandoned her children and got pregnant by a very unsavoury character and everyone says she still has a mother’s right HOW and Why ????? @sue.well I have been in a lot of trouble in my life .i was very upset with myself my ex cheated repeatedly with my own family for years and the only way for me was to (FIGHT ALL OF THEM )to restore my honour and get back my manhood .none would fight so some are dead so if he is anything like me .its best to stay clear and move on with your own life’s .for me to redeem my hounor I had to drop my own daughter and vowed never to belittled bye a whore again . As a separated parent with parental responsibility do i have the right to know where my 6 month old daughter is at all times? And can the mother take her out of the country without my permission? First off I want to say father's have no rights at all even being on the birth certificate is a waste of time. Now my question is why can my ex run off to Spain, for over a year come back and demand money? Even though I spent 2 thousand euro's to get access in Spain. Now she's gone to child matience and demanding money. But the system is flawed as she's stop me seeing them in the week and cut it down to 1 night a week so I have to pay top line csa. This is why it's flawed because she knows how it works. So basically I've gone through hell with this woman, just because I want a relationship with my children, I have to go court and spend thousands of pounds, plus pay her money, which she will pay towards court fees. It's a joke, and the whole system needs revamped. If my son was born and my ex was with another man and I hadn't seen my son in ten years and had no parental rights and changed my sons surname to her new partners name without my know and excluded me from all visitation and another man has brought up my child and I have not seen him in over ten years do I have to pay child support? Yes, as you are still the biological father of your child. Only if the other man adopts your child officially will you be financially released from the obligation. All biological non-resident parents are expected to financially help to support their children regardless of whether they see their children or not. I am sorry to hear this, but every non-resident parent is responsible for paying towards the day-to-day care of their children. On a basic level a parent will pay 12% of their gross weekly income for one child, 16% for two and 19% for three or more. CMS do not take into account outgoings and if you fall back on your payments, then you will be subjected to arrears. This is applied to all non-resident parents across the board.